Austrian striker known as a prolific goal-scorer for clubs like Red Bull Salzburg and FC Twente. He began representing Austria internationally in 2006. He came up through the youth system of Admira Wacker before making his senior debut with the club in 2004. 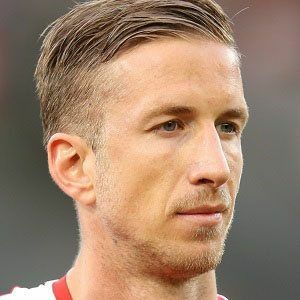 He was the top goal-scorer in Austrian Football Bundesliga during the 2008-09 season. His mother is Olympic javelin thrower Eva Janko. He has been teammates with Australian midfielder Nick Carle at Sydney.